Manufacturing firms have become a major target of theft, vandalism, management-labor-related disputes, property damage, equipment and product tampering, and litigation. And as products and processes continue to be developed, manufactured, and distributed, an extremely professional level of security planning, prevention and protection is required. Smart Proforce Pvt. Ltd. brings to its industrial and manufacturing clients an integrated approach to security that provides a range of services and a proven level of reliability to meet both conventional and extended security needs. Powerful event management tools for emergency response to enable safe and timely evacuation. Smart Proforce Pvt. Ltd.is a management-and systems-driven company whose professionals have created and constantly refine an approach that evolves to meet the needs of its industrial and manufacturing industry clients. Company management works closely with clients to create customized security programs that focus on advance planning and preparation for all contingencies. The company's web-based workforce management system allows management to integrate personnel scheduling, accounting, and account performance analysis. Its human resources tool tracks each employee's performance and other information. 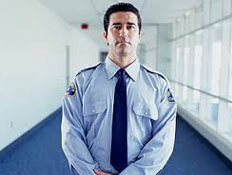 Whether your needs require one or two security officers or multi-state locations, Smart Proforce Pvt. Ltd.. Has the knowledge and experience to reduce your potential losses using a customized plan to protect your assets and ensure you're in compliance with any state or Central safety standards. We provide security that maintains your companies production. We ensure all facilities are safeguarded so all operations run smoothly and you have a successful business. Developing a safe and secure environment in an Institution of Higher Education is the responsibility of the entire community. Schools,Colleges and Universities must be vigilant about security on their campuses. Members of the campus community expect the highest level of security services related to personal safety, access control, and physical security. Due to the economic struggles facing many educational institutions, administrators may find it challenging to provide reasonable protection for students, faculty/staff and its facilities. Smart Proforce Pvt. Ltd. brings to its higher education clients an integrated approach to security that provides a range of services and a proven record of reliability. Our proven methodology has been instrumental in helping our clients achieve a safe and secure environment. This methodology encompasses crime prevention programming, risk assessments, the deployment of security technology as well as the use of best practices in physical security. The firm's management philosophy embraces the creation and maintenance of a safe environment in an inconspicuous manner. The primary purpose of Smart Proforce Pvt. Ltd.. is to support the goals of our clients. We are a value added resource to support the mission of higher education communities. Our Security Services Department provides customized programs to meet the diverse social, cultural and academic values specific to the needs of each institution. Our management teams works closely with clients in the development of client-specific safety and security programming. Smart Proforce Pvt. Ltd.. offers a transition plan that considers the needs and desires of the client as it relates to the retention of existing security personnel. All members of Smart Proforce Pvt. Ltd. are active participants in the achievement of our goals and those of our potential clients within the higher education market. Through the collective efforts of Smart Proforce Pvt. Ltd., the institution and the campus community, the goal of providing a safe and secure environment can and will be achieved. Shopping Centers, Malls, Lifestyle Centers, and Open Air Centers You need a security provider who is an expert in handling the unique challenges of your industry... We are your shopping center security specialist. Smart Proforce Pvt. Ltd. offers uniformed protection services to a diverse clientele, including government agencies, high tech companies, heavy manufacturing sites, educational institutions, our Class-A offices will help you ensure better safety and security of your people and assets, ultimately protecting the integrity of your organization's reputation and operations. Employing capable, experienced professionals at all levels. Our emergency response planning systems, training and live drills. Our experience and organizational knowledge regarding effective strategies and interventions to remedy serious security related conditions. Our experience and total organizational engagement in response to extreme events - natural disaster, violent mass crime, weather related emergencies and even public relations related issues. With on-site training and staffing, systems customized to your properties and personnel who support your company image, you can have complete confidence in your partnership with Smart Proforce Pvt. Ltd.. and focus on your core business. We understand the complexities in shopping center security. That's why we customize our services to the conditions of each property and align procedures to portfolio standards. As a result, everything from our customized programs to the professionals who deploy them is based upon a deep understanding of the shopping center marketplace. Smart Proforce Pvt. Ltd.. brings to its diverse range of retail center clients an integrated approach to security. The company provides a range of services and a proven level of reliability to meet both the conventional and extended security needs of the field, including a-customer-specific hospitality program. Professionals from Smart Proforce Pvt. Ltd.. provide its clients with comprehensive guidelines for security, focusing on threat assessments, situation analysis, and meticulous planning to identify problems and issues before they arise. At each property, emergency readiness for critical security threats and events, both natural and manmade, is our top priority. Smart Proforce Pvt. Ltd..' readiness for critical security issues is built into all levels of our operations, from site to regional to corporate support. Developing a safe and secure environment for a commercial or residential property is the responsibility of the entire community. These facilities must be vigilant in providing security on their properties. Occupants of these facilities expect the highest level of security services related to personal safety, access control, and physical security. Due to the economic struggles facing many properties, facility managers may find it challenging to provide reasonable protection for residents, employees, and their guests. Smart Proforce Pvt. Ltd. brings to its clients in this market an integrated approach to security that provides a range of services and a proven record of reliability. Our proven methodology has been instrumental in helping our clients achieve a safe and secure environment. This methodology encompasses crime prevention programming, risk assessments, the deployment of security technology as well as the use of best practices in physical security. The firm's management philosophy embraces the creation and maintenance of a safe environment in an inconspicuous manner. House keeping services for Corporate office, Office campus, Industries, IT Industries, Institutes and Commercial Complex by Latest Methods and well trained. Housekeeping Technical Persons with pleasant Working Environment. Professional Cleaning services and related maintenance services by Latest methods and machinery in the premises. Moping and cleaning of all floors by manual and machinery. Cleaning of Dust, Cobwebs as and when requires by vaccum cleaner. Upkeep of all ceramic fittings and other statutory fittings and providing disinfectant materials and air purifiers for wash area and washbasins. Cleaning of Toilets at frequent interval with check list. House keeping Cleaning of window panels, glasses, partitions etc. Cleaning of all waste paper baskets. Cleaning of all telephones including intercoms and super phones. SMART PROFORCE PVT. 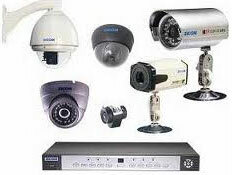 LTD. can determine the most dependable, progressive and efficient security solution to meet your specific needs. Smart Proforce Pvt. Ltd.. offers a transition plan that considers the needs and desires of the client as it relates to the retention of existing security personnel. Our comprehensive approach to personnel selection and training has been critical to our success in meeting and sustaining the needs of our client portfolio. The company's rigorous selection process includes thorough background checks, testing, past performance analysis and personality/integrity profiles. All members ofSmart Proforce Pvt. Ltd. are active participants in the achievement of our goals and those of our potential clients. Through the collective efforts of Smart Proforce Pvt. Ltd., and the commercial/residential community, the goal of providing a safe and secure environment can and will be achieved. In the last decade, the banking sector has transformed into a technology driven domain. SMART PROFORCE PVT. LTD. has gained a significant market share and continues to add modern and contextual product and service offerings with the purpose of delivering value to its clients. The addition of products and services are the result of clients confidence and years of adhering to global best practices. It’s a world where convenience and customization are the norm, and clients come first. It’s about preference and presence and knowing what your clients want, and knowing exactly when and where to offer it to them. By establishing a robust infrastructure and Managed Services Center facility at our offices in Delhi & Mumbai. The office is equipped with latest technologies for remote monitoring of the ATMs, content delivery, security services, with a team of highly trained specialists 24 x 7 x 365 days. Today, we are proud to be the fastest growing service provider in the business. SPPL is committed to providing and maintaining a safe and healthy workplace for all staff, and to providing the information, training & supervision needed to achieve this. Telling his manager immediately of any health and safety concerns. Keeping the work place tidy to minimize the risk of any trips and falls. To prevent accidents and cases of work-related ill health and provide adequate control of health and safety risk arising from work activities. Health and safety law poster is displayed. First-aid box and accident book are properly located.